A bus service is available by prior arrangement (ring before arriving) and taxi details are available at the airport. 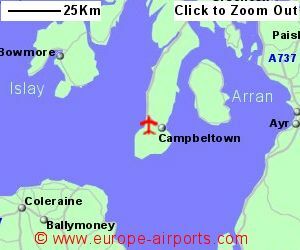 9,365 passengers passed through Cambeltown airport in the year 2014, a drop of 2% from the previous year. 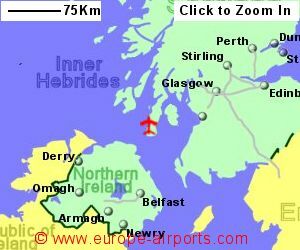 Sorry but we do not have any details of flights from Campbeltown Airport to the rest of Europe.